Custom design your own Paris by Night activities that consists of a memorable Seine dinner cruise and a short driving tour of Paris or time to go up the Eiffel tower. Well Arranged Travel does more than design Paris night tours and Paris day trips. 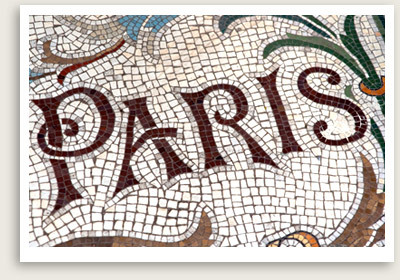 Contact them for assistance in creating a special Paris vacation. They custom design day tours and full vacation to suit your needs. A Seine dinner cruise is only one possibility. Combine the dinner cruise with a driving tour of Paris or an Eiffel tower climb for the magnificent view. Arrange a special outing to complement your vacation plans or create a magical Paris night to celebrate a special occasion or holiday. Gourmet Seine Dinner Cruise in Paris. Feast your eyes on the wonders of Paris at night in a glass-covered boat while on Seine river feasting on a three-course gourmet meal based on seasonal ingredients by a renowned. Entertainment and a dance floor add to the elegance to a truly memorable meal. Available for Christmas Eve, Christmas Day, New Year’s Eve, Bastille Day, and Valentine’s Day. Please inquire about availability and cost.